Had my XPS since January 2016 and all of a sudden my power adapter has stopped charging the battery. I can still use it when plugged in but it instantly dies when it is unplugged. 2. Power on system, quickly start tapping F2 key continuously. You should be in the BIOS. In the BIOS, the battery health should be listed under main screen or battery information. The battery should say Excellent. The adapter should say the adapter type, if it says 'Unknown' or 'None', then it's a issue with the adapter, and most likely needs to replace with a Dell genuine adapter that suitable for the system. Note: Wiggle the adapter's end while checking it in the BIOS. 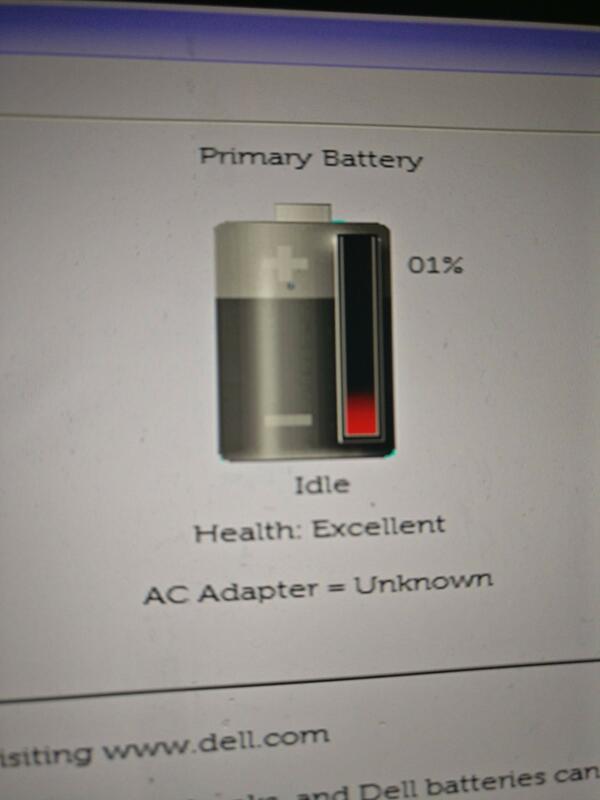 I've checked in the BIOS and the battery health is excellent. This is the third major issue I've had with Dell products in the past year and it's just getting infuriating. 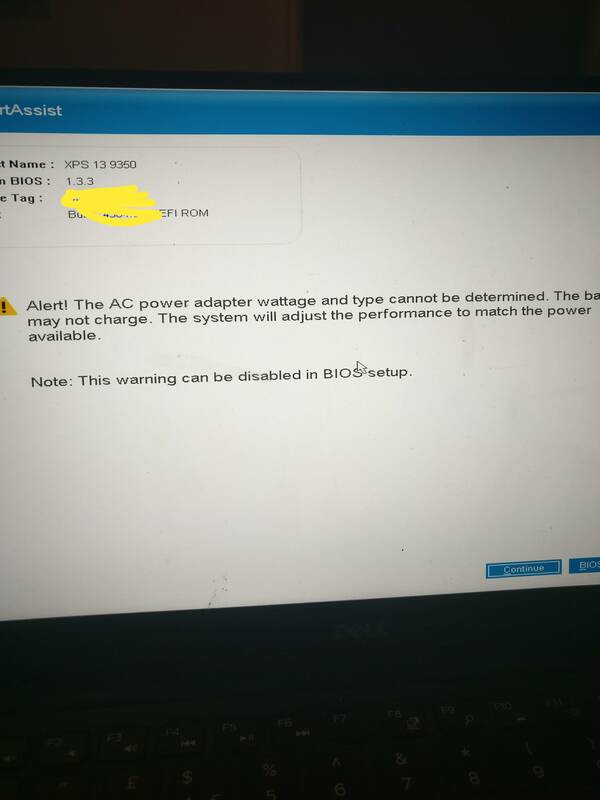 There has been 2 times in the last few days where it actually charges but after being unplugged and plugged back it just says "Plugged in, not charging"
I get "AC Adapter = Unknown" and a message when I boot saying the AC wattage and type cannot be detected. This is a replacement adapter provided by Dell and I do not use a docking station. One more question. Is the dc port loose or the port where you insert the AC adapter into the system ? .